If you follow me on Instagram or Twitter you know exactly what I'm up to this weekend, swatching. So what do I have planned for today's post you ponder? Six shades from the China Glaze Avant Garden Collection. Let's begin shall we? Fancy Pants A blurple—depending on the lighting it could lean bluer, or more towards purple—with subtle pink shimmer. Shown here in two coats. Keep Calm, Paint On An icy mint green with silver shimmer. The formula was less than favorable; it was thick and slightly streaky. Shown here in three coats. Life is Rosy A dark mauve. Unlike Keep Calm, Paint On the formula was great. Opaque in two coats and it's a creme (I'm pretty much a fiend for creme finishes by the way). 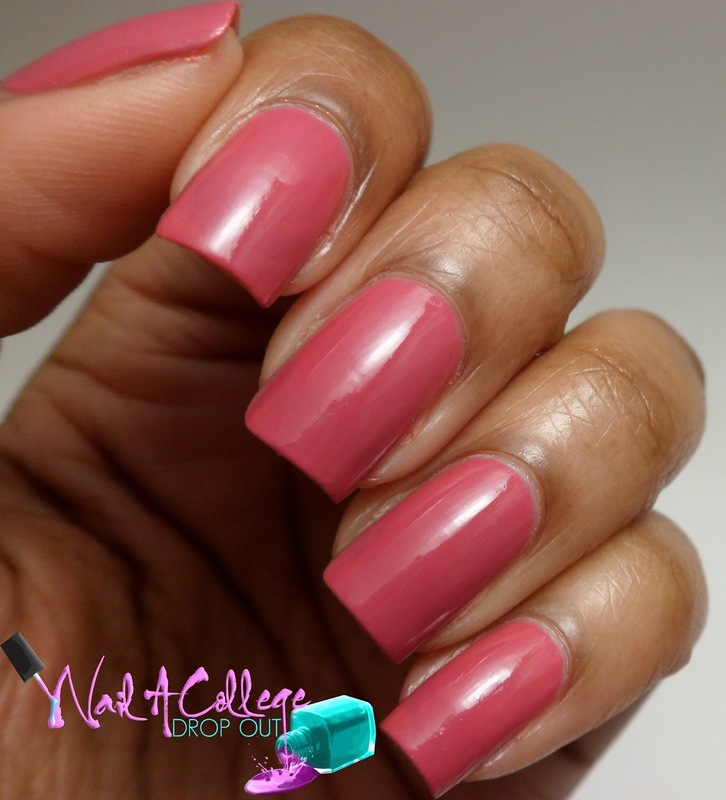 Ideally this isn't a color I would gravitate to so I used it in some nail art. Mimosas Before Mani's Yes that is exactly how the name reads on the label of my bottle. All weird apostrophes aside, MBM is your basic coral shimmer. A bit thick but, workable. Shown in two coats. Pink-ie Promise A slightly dusty pink creme. A wee bit on the thick side, but not a pain to work with. Shown here in two coats. Tarty For The Party A sort of periwinkle/lilac shade with an amazing formula. My absolute favorite in color and viscosity of lacquer! The full China Glaze Avant Garden Collection collex can be found at your local Sally Beauty Supply, Beauty Plus Salon, and Victoria's Nail Supply. Out of the six shades I have there are certainly a few hits and a few misses. Which one is your fav? I like the shimmery ones best. I thought I wanted Keep Calm, but now after seeing it on you, it's a little too frosty. Great pictures!